Fairfield, Conn. – Nov. 1, 2017 – North America’s premier equine exposition and gathering kicks off in West Springfield, Massachusetts, Nov. 9. The four-day event is an opportunity for horse enthusiasts to experience one of the largest equine-related trade shows in the country, educational events, demonstrations, top clinicians and more. For college-bound students, parents and all those interested in intercollegiate riding, it is a great opportunity to learn about the Intercollegiate Horse Shows Association (IHSA). IHSA is a way for students, both men and women, beginner or advanced, to ride and compete during college without the expense of owning a horse. IHSA will have an information booth located in the Better Living Center, booth #917. CJ Law and representatives from IHSA will present an informative introduction to their competition format Friday, Nov. 10, scheduled for 4:15-5:30 p.m. in the Young building. IHSA will be joined by their affiliate the Interscholastic Horse Shows Association (IEA) for riders in grades 6-12, for the mounted session. They will present both hunter seat and Western disciplines and describe the differences in the IHSA competition levels. Law, the head coach of the Mount Holyoke College riding team, will present the educational event. She will offer insights on improving polish in the show ring, building confidence for competition and tips on how to be a successful catch-rider. Law will answer questions and share what it is like to be on an IHSA team. One of the top coaches in the nation, Law guided the Mount Holyoke team to three IHSA National Championships and had multiple students receive prestigious Cacchione Cup honors. Law was named Spur magazine’s Horsewoman of the Year in 1997, and was selected as one of the 20 most influential horse people in the country. Law has served on the IHSA board of directors since 1986 and received the IHSA Lifetime Achievement Award in 1998. 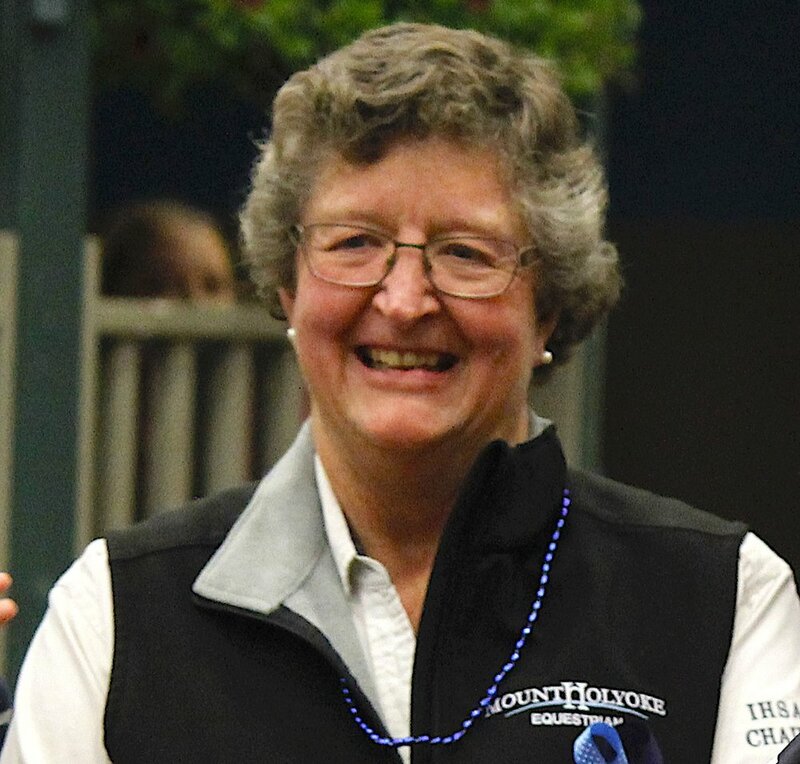 She founded the IHSA Senior Academic Achievement and National Horse Show Sportsmanship Awards. Law will be present the IHSA format alongside Jennifer Eaton, IEA’s membership marketing coordinator. Eaton has been a licensed riding instructor in the state of Massachusetts for over 25 years. She joined the IEA in 2004 as a coach with a team of 25 riders and went on to hold IEA volunteer positions as region president and zone chairperson through 2009. In 2008, Eaton was hired by the IEA and has played an active role in the growth of the organization. Equine Affaire is North America’s premier equine exposition and equestrian gathering. Learn from and mingle with world-class trainers, coaches, competitors, judges and experts in the horse industry. Experience a wealth of equine and equestrian products at the largest horse-related trade shows in the nation. See dozens of breeds of horses from around the world. Buy a horse or sell one. Discover the right stallion for your mare or the ideal boarding, training or breeding facility for you and your horse. Experience the excitement of the Equine Affaire’s signature performances and competitions. Interface with all facets of the horse industry while sharing your passion for horses with friends, family and fellow horse people. Immerse yourself in all things equine for four incredible days. The IHSA was founded in 1967 by Robert Cacchione while he attended Fairleigh Dickinson University in Teaneck, New Jersey. The organization was established so that any full-time college student could participate in equestrian competition regardless of economic status, gender or riding level. The IHSA emphasizes learning and sportsmanship and fosters teamwork. Now celebrating its 50-year anniversary, the organization has grown to include 400 member teams and 10,000 riders in Hunter Seat Equitation, Western Horsemanship and Reining. The IHSA encompasses 40 Regions, 8 Zones and 45 states and Canada. College or university teams, individuals, alumni and coaches may become members.